For more than 25 years, Elizabeth Kent has been helping people and institutions find solutions to sticky problems. Elizabeth started work in her early teens stringing and selling puka shell necklaces. Since then she has worked in a variety of interesting and challenging positions, including life guarding and serving as the first female park ranger in the maintenance division at Haleakala National Park. 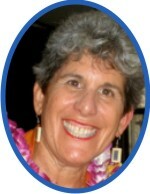 Elizabeth also clerked at two federal courts of appeals (the Second Circuit in New York and the Ninth Circuit in San Francisco), practiced commercial law, served as the Deputy Director at Hawaii's Department of Human Services, taught at the University of Hawaii, and directed the Hawaii State Judiciary's Center for Alternative Dispute Resolution. Elizabeth is trained as a facilitator and mediator, teaching a graduate class at the University of Hawaii in conflict system design, and actively teaching a variety of conflict resolution skills classes (communication, negotiation, mediation, and others). When she is not working in alternative dispute resolution, she designs and creates wearable art (jackets, scarves, shawls, table runners, and other garments) from vintage kimono.